Made out of an evolved and advanced fiberglass compound for light, strong frame that retains strength and performance even in extreme temperatures. Incorporating DEFT – Dynamic ErgoFit Tech – an innovative, reduced material design construction for improved weight-saving and very good ergonomic performance. Innovative knee pivot system accommodates tool-free poly-centric hinge system for fast, easily exchangeable extension stops (0, 5, 10, 15 and 20 degrees) to forestall hyperextension injuries. Ergonomically sculptured and ventilated knee cup system Made out of semi-rigid TPU for durability, backed by shock-absorbing PU memory foam for comfort. Highly ventilated, channeled padding and mesh zones for very good airflow cooling. Fine-tuning of personalized fitment offered by knee width adjustment spacers (1mm, 2mm and 3mm, both sides), supplied as standard. Supplied with anatomically optimized ErgoFit spacer kits for improved directional articulation performance and position stability. Correct positioning of knee cup is secured as it should be with top and bottom elastic straps, allowing multi-directional freedom of movement, avoiding pressure points at the patella. 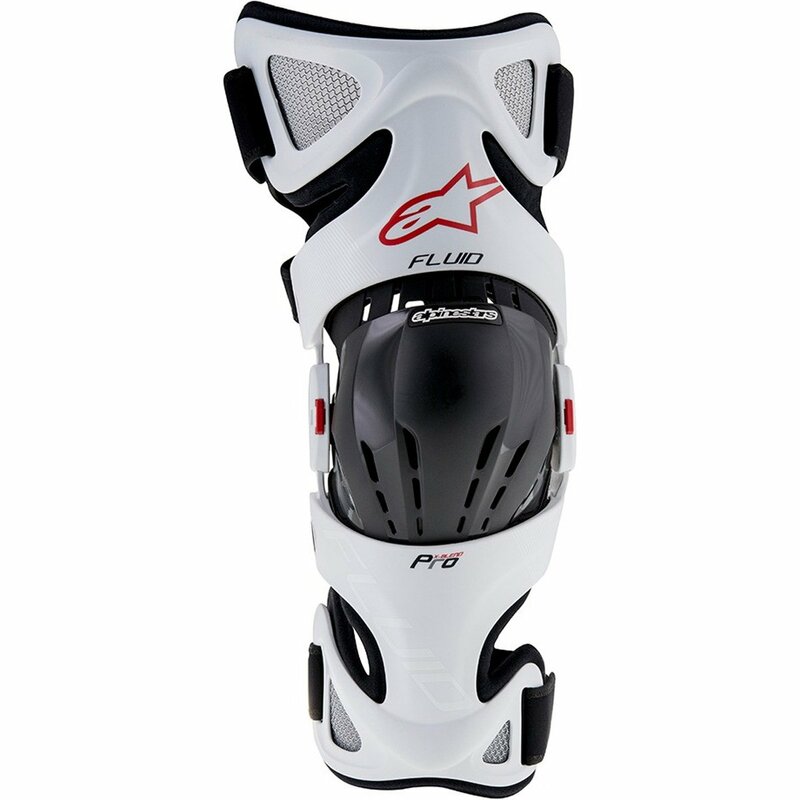 New, soft, dual strap system promotes safe fitment of brace in all riding positions and includes combined buckle and Velcro closures for rapid and easy mounting in addition to comfort. 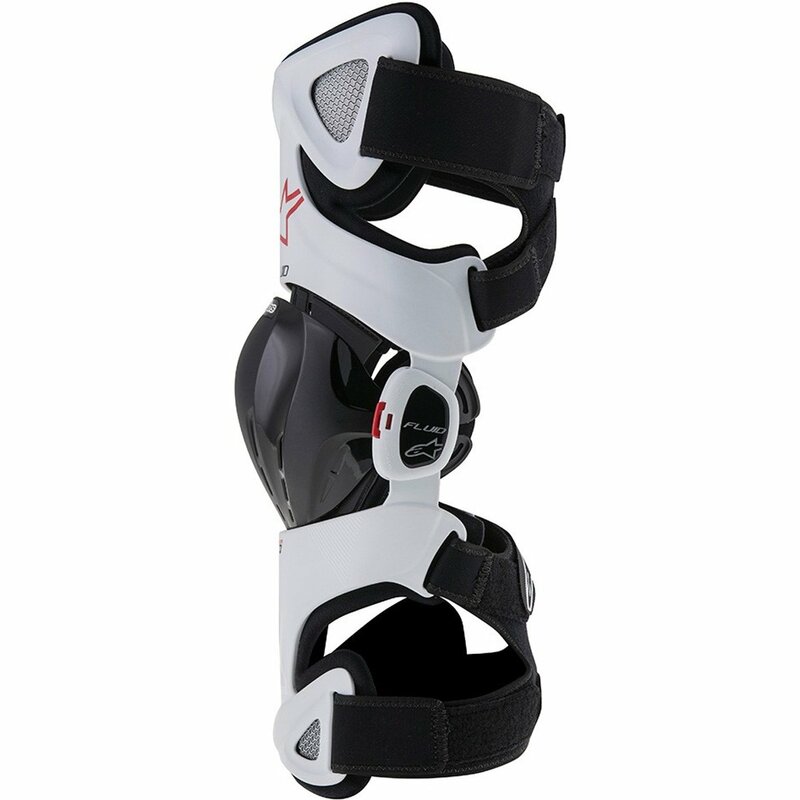 Knee brace accommodates new lateral-side knee padding for comfort and to steer clear of pressure points.